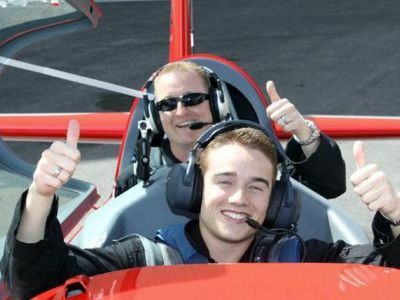 Yes, you too can be a Top Gun pilot when you take the Fighter Pilot Experience Las Vegas air tour. Your 3-hour fighter pilot excursion begins with complimentary hotel pick-up service where you will be transported to the Henderson Airport. Here you will have a quick safety briefing with your qualified pilot before taking off into the blue skies in a state-of-the-art Extra 330LC aerobatic plane. If you bring a friend you will fly in a fully restore Waco biplane that has you both in the front experiencing daredevil flying maneuvers over the incredible landscape of the Mojave Desert. Once in the air you will fly for 15-minutes completing barrel rolls, stalls and high-G military tactics including a military style landing that has you in an elongated spiral. Your heart will still be pumping with adrenaline when your excursion concludes with drop-off service at your hotel. If you have always wanted to feel like Tom Cruise on Top Gun, then you need to try one of the Top Gun and Air Combat Experience Tours. There are four versions of this tour that are packed with adrenaline as well as loads of fun. The first option is the Recon. During your Recon flight you will spend 10-minutes in the air above the gorgeous Mojave Desert as you fly over mountains and valleys. You also get a great look at the Strip during this adrenaline flight. The second option is the Afterburner. The Afterburner takes you on a 15-minute adrenaline filled flight which has you experiencing barrel rolls, nose dives and stalls as you fly high and low over the beautiful Mojave Desert. 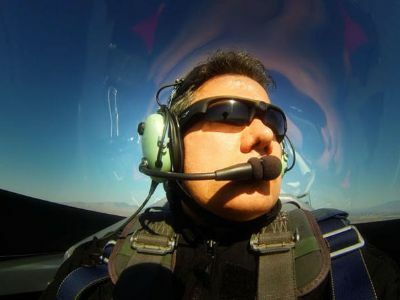 Your third option is the Top Gun Experience where you will be briefed on how to fly your very own Extra 330LC aerobatic plane. This advanced airplane is perfect for all the right moves as you take control of the stick and learn high-G maneuvering as well as plenty of military tactics. This flight will have you tumbling, doing barrel rolls and plenty of spins. The fourth option is the Air Combat Experience that has you flying like you are on a combat mission. Your 50-minute flight takes you into the sky with an experienced fighter pilot and you at the controls. Your customized fighter jet has all the new technology to record hits on your opponents. You will be the master of your electronic targeting system as you unleash the power of your realistic machine guns and rockets on your opponent. An added bonus for all four options is complimentary pick-up/drop-off service from your hotel. If you are pressed for time, and need a quick break from the Sin City and especially its casinos, take a thrilling air tour to the Grand Canyon! 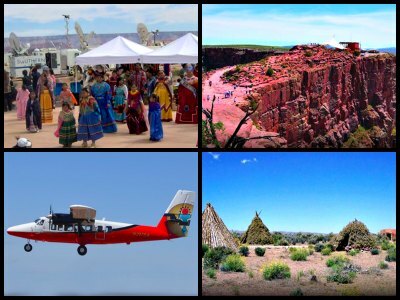 All of these Las Vegas air tours to the Grand Canyon are conducted in comfortable small airplanes for 19 passengers or less. Without a doubt, this is the fastest way to see one of the three Rims of the Grand Canyon and come back to the Sin City the same day.